The existing SAM solution needed to be adapted according to the changing needs of SDHIS, and to reflect changes to the NHS. SDHIS had already implemented Snow’s Software Asset Management (SAM) tool after the NHS Enterprise Wide Agreement with Microsoft came to an end in 2010. At that time, regional procurement offers meant attractive pricing for local implementation of Snow. Prior to this, an ineffective collection of spreadsheets and paper-based forms were used for reporting on SAM processes. Until the end of the Enterprise Agreement, NHS Trusts had been able to use some Microsoft products for free. With its demise however, they needed to identify what products they had and those which were in use, or represented good value. Bearing in mind the economic climate and the financial implications for a public sector healthcare organisation, a more rigorous approach to SAM was needed to drive efficiency and cost savings. The initial contract with Snow was for three years, with the option to extend. At the end of the initial period, a decision had to be made on whether to extend the existing contract, and how best to continue to manage software assets and procurement. Going forward, SDHIS aimed to develop and improve the accessibility and flexibility of its software assets and databases. While Snow had so far been successful in generating reports and ensuring accountability, there was a need to make the decision to either continue with an existing hosted Snow solution or instead to opt for a hosted system in the cloud - an option which had not previously been considered. A supplier was required to implement either decision. Ultimately, SDHIS opted to move from a hosted system in Trustmarque’s data centre to an environment hosted on Microsoft Azure, enlisting Trustmarque to re-architecture the existing solution. At the close of the provisional three year contract with Snow, SDHIS opted to modernise and move into a single-tenanted hosted environment. With the help of Trustmarque’s architectural IT services, and with Trustmarque’s recommendation, SDHIS migrated from its original platform towards a hosted service with the Microsoft Azure platform. Upskilling was a vital part of the project, and involved training new Snow users across the estate. A key driver which pushed the HIS towards favouring the hosted option was that it would allow them to deploy Snow across the entirety of the software estate - enabling reports to be centralised in one repository. In addition, it could provide further reliability and resilience. Trustmarque created a solution that met the changing needs of SDHIS at a suitable cost, in line with the initial contract set out by the Commodity IT Hardware and Software agreement framework (CITHS). This involved re-designing the existing solution. Close collaboration with the Trust was realised in order to understand its requirements, to enable informed decisions and to set out clear time frames. Reports are now generated effectively, in turn allowing the successful management of assets, ensuring accountability and facilitating decision-making. A lot of value has been realised by identifying packages and in ascertaining what SDHIS already had. Management maturity was achieved quickly, and implementation was quick and straightforward. The migration to Azure was seamless and visually similar to the old system, meaning navigation was a smooth process for users from the outset, with the very first data received in good order. The hosted system has also proved to be a success in centralising all reports into one place. Another key advantage of a hosted Snow service is that clients can report back their inventory whether they are on the Trust’s network or not, resolving the issue of missing devices and laptops. The transfer of skills and knowledge of the Snow toolset from Trustmarque was a significant benefit. When SDHIS transferred to Azure it wanted to take advantage of the latest release of Snow at the same time, which came with slightly different functions and features. When teething problems arose Trustmarque embraced the challenge and helped SDHIS to work through them, viewing them as part of a mutual learning process on the path towards using Snow at its optimum – providing feedback and developing the product along the way. The key requirement has been achieved – SDHIS is able to produce compliance reports, showing that licensing is compliant and legal. The ambition now is to work towards being able to make sure that at any point SDHIS is using all existing licences to their full capacity, and is in an informed position to re-harvest licences already in use. 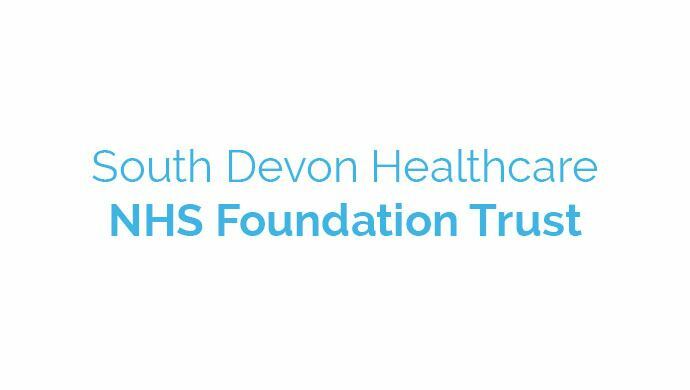 South Devon Health Informatics Service (SDHIS) is a shared service provider delivering an IT Service to the South Devon health community, including South Devon Healthcare NHS Foundation Trust (SDHFT), Torbay and Southern Devon Health and Care Trust (TSDHCT) and South Devon and Torbay CCG. The health community includes a number of community hospitals, Health Centres and circa 50 GP practice sites, with around 5,000 PCs and 8,000 user accounts. 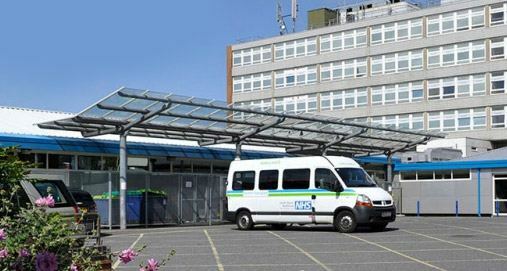 SDHFT runs a general hospital, Torbay Hospital, serving the South Devon area. Its services are funded through Clinical Commissioning Groups (CCG), who determine the healthcare priorities for their local population. Torbay Hospital serves a local population of around 300,000, with the additional 100,000 seasonal visitors. The biggest part of the Trust’s work is emergency treatment - over 70,000 patients a year come through Torbay Hospital’s Emergency Department. The remit of the IT Operations Manager, Dave Hayes, is to deliver IT infrastructure and manage the IT support teams covering desktops, servers, networks and telephony. The Health Informatics Service provides services to the acute and community bases over a shared network and, in addition to this, provides IT support to GP Practices. The success of Trustmarque’s implementation can be partially attributed to its capacity to supply both Snow and hosted services, giving SDHIS the choice between implementing changes within the existing infrastructure or making the transition to a stable and resilient new hosted platform. Trustmarque was selected by virtue of its abilities as the best at procuring and deploying the services best suited – in this case, a hosted Snow solution. Having used Snow for a number of years as part of their ever-maturing SAM practice, SDHIS were able to work closely with Trustmarque to migrate from their existing multi-tenanted environment to a single-tenanted, cloud-based environment. This ultimately allowed them to move their SAM maturity towards advanced practice and to take advantage of developments within the SAM Snow tool itself. Trustmarque was able to set SDHIS up with a revised structure to fit their evolving shared service provider model, allowing them to report more accurately on their growing assets. The Snow tool is now a key part of their advanced IT strategy and allows the Trust to report with confidence. Looking to learn more about software asset management?